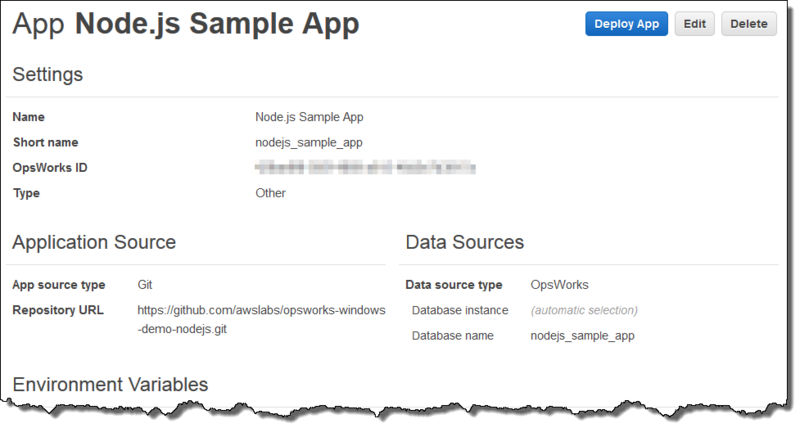 Examine the settings that AWS OpsWorks Stacks used for the app. In the service navigation pane, choose Apps. The Apps page is displayed. To learn about what some of the settings represent, choose Edit, and then hover over each of the settings. (Not all settings have on-screen descriptions.) For more information about these the settings, see Adding Apps. In the next step, you can explore layer monitoring reports.